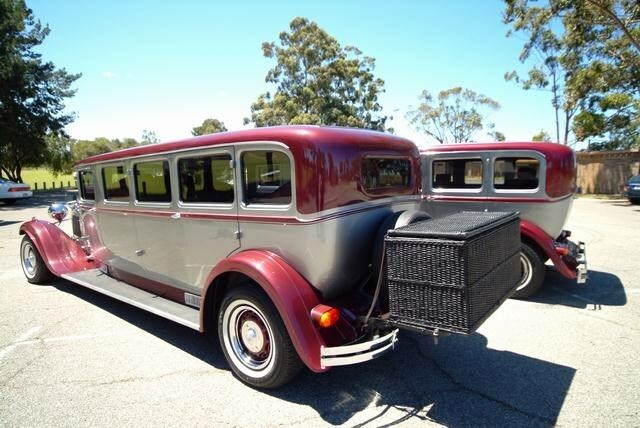 Dodge DA '29 Stretch, 7 passengers. Burgundy & silver in colour, burgundy leather interior. Ford 6 cyl dual fuel 4L. Ford 4 spd auto. WB Statesman front end, WB one tonner Rear end. 4 Wheel disc brakes. Power steering. A/c. Dual passenger side door entry. Cane basket on rear for Esky, luggage etc. Registered as an SCV in Perth.